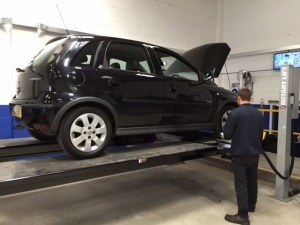 We carry out MoT testing on our premises at Botley, ne ar Hedge End. We have an Automated Testing Lane (ATL). 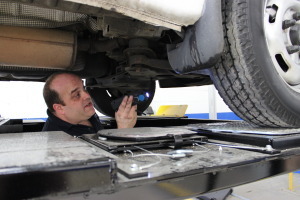 An MoT test will take 40 minutes and will be carried out according to the VOSA guidelines. We have a viewing area if you would like to watch you vehicle being MoT’d or you can sit in our reception with a complimentary hot or cold drink and newspaper. Classic cars are welcome and understood. There is no need to worry about the date of your next MoT, we will call you within 2 weeks prior to the due date. Standard size campers can be MoT’d on our ramp. Campers come under Class 4 MoT testing. You can now request an MoT booking online with our online booking form.